We are pleased to offer you this one bedroom apartment within the Vinitsa area of Varna. Vinitsa is a small village situated close to the Bulgarian Black Sea Coast. It is five kilometers north of Varna, the largest coastal city in Bulgaria. Many of the large beach resorts are within easy reach of Vinitsa. St. Constantine and Elena is one of the oldest resorts along the black sea coast and is only 4 km away. Golden Sands Resort is only 10 km and can be reached in around 15 minutes. If you are looking for a relaxing place to live, close to the major resorts in a quiet and pleasant environment, then you have come to the right place. The apartment is in a quite residential area, yet offering all the perks of city living. The surrounding area offers attractive views and a very short distance to the sea / beach. This one bedroom apartment is fully equipped with everything you need for a long term apartment. The living/kitchen area has air-conditioning and a ground floor terrace/garden overlooking the beautiful rolling hills out towards the sea. Parking is also available with this long term apartment. 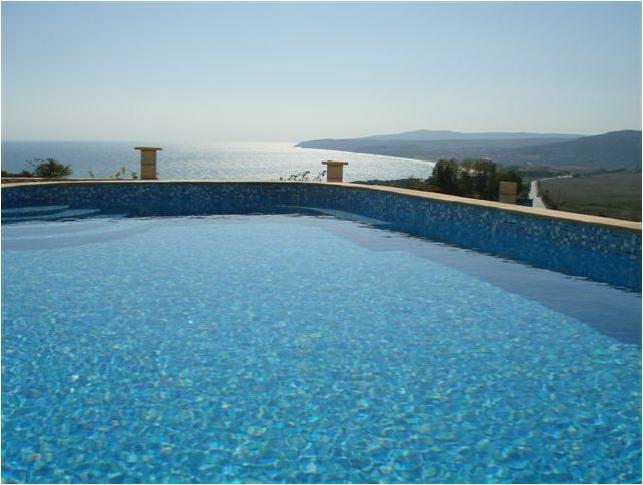 Vinitsa is the perfect place for a rental property due to its short commute in to Varna and the nearby resorts.